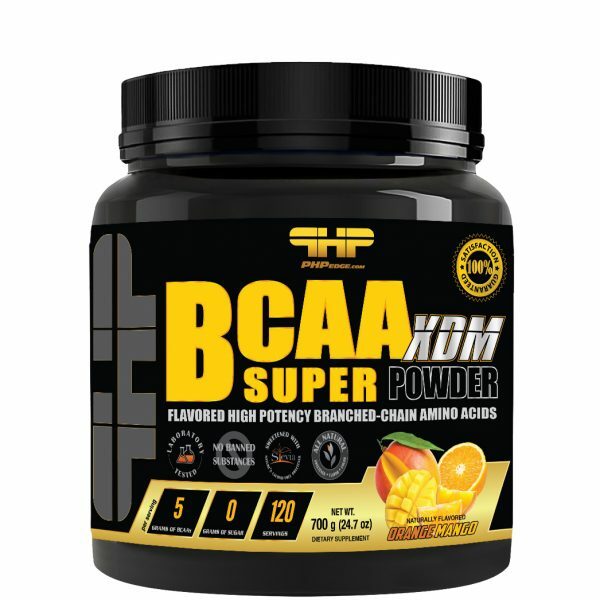 BCAA SUPER XDM® as a Anti Catabolic Amino Acids can be used to support muscle tissue growth and repair for all types of active individuals. It is ideal to consume before and after training, to prevent muscle breakdown and promote healthy muscle mass. Drink your serving 30 minutes before your workout. Drink 15-30 minutes after exercise to support maximum recovery. Your body window opportunity for growth is 15-30 after exercise getting suitable post-workout nutrition is vital! Can be used before workouts, after workouts. Individual requirements vary depending on gender, body weight, level of activity and exercise/training intensity. For optimum mass gain results, it is recommended to consume at least twice daily for eight-week (8) period. To promote a positive nitrogen balance, consume approximately 1 gram of protein per pound of body weight per day from a combination of high protein foods and supplements. For even better results, consume your daily protein by having several small meals evenly throughout the day. Other Ingredients: Malic acid, citric acid, MCT (from coconut oil), carrageenan, xanthan gum, natural flavors, silica, beta carotene powder (natural color), stevia leaf extract (natural sweetener). Other Ingredients: Malic acid, citric acid, MCT (from coconut oil), carrageenan, xanthan gum, natural flavors, silica, red cabbage powder (natural color), stevia leaf extract (natural sweetener). Other Ingredients: Malic acid, citric acid, MCT (from coconut oil), carrageenan, xanthan gum, natural flavors, silica, grape skin powder (natural color), stevia leaf extract (natural sweetener). Other Ingredients: Malic acid, citric acid, MCT (from coconut oil), carrageenan, xanthan gum, natural flavors, silica, red beet powder (natural color), stevia leaf extract (natural sweetener). Other Ingredients: Malic acid, citric acid, MCT (from coconut oil), carrageenan, xanthan gum, natural flavors, silica, red beet powder (natural color), grape skin powder (natural color), stevia leaf extract (natural sweetener). RECOMMENDED PURPOSE OR USE: Source of essential branched-chain amino acids involved in protein synthesis. RECOMMENDED DOSE: Take 1 scoop daily. CAUTION: Do not use if you are under 18, pregnant or breastfeeding. People with health conditions should consult a healthcare practitioner before consuming this product. Consult a healthcare practitioner if you have Parkinson’s disease. Do not use if you are taking Levodopa, a medication used to treat Parkinson’s disease. Consult a healthcare practitioner prior to use if you have liver or kidney disease or if you have been instructed to follow a low protein diet. Do not use if security seal is broken. Keep in a cool and dry place away from children. ALLERGEN INFORMATION: This product is manufactured in a dedicated facility that processes milk and egg ingredients.